Just a few minutes ago, we released version 3.3 of our Premium add-on. This update allows you to integrate your WooCommerce store with Mailchimp using their newest e-commerce API. If you were using eCommerce360 before, the following notice will show up in your WordPress admin. For an overview of the most important changes, please go through our knowledge base article on upgrading to e-commerce API v3. First, you'll have to connect your WooCommerce installation to one of your Mailchimp lists. The plugin will then take you through various steps to import all of your existing products, orders & customers into Mailchimp. Before going through these steps, temporarily disable e-commerce automations to prevent Mailchimp from sending out any emails. The plugin includes a nifty setting for this. After all your products and orders are imported into Mailchimp, the plugin will automatically keep track of changes in your WooCommerce data and notify Mailchimp of these changes accordingly. 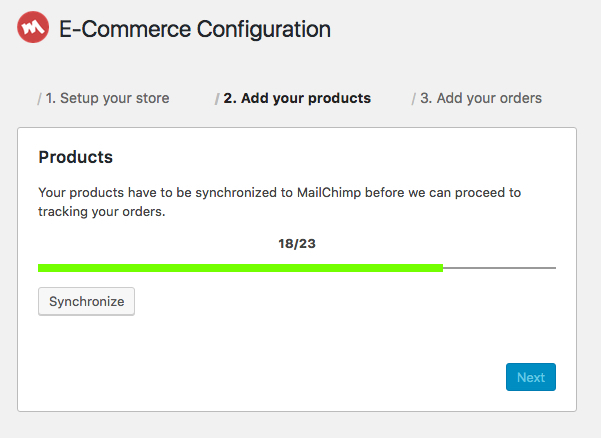 This update allows you to use various new Mailchimp e-commerce features on top of the existing eCommerce360 features. Let's say an unknown visitor adds a product to their cart and then proceeds to checkout. He or she fills in their email address but then bails before completing the payment. Normally, that visitor would be lost forever. Not anymore. Our e-commerce feature allows you to send that visitor an email asking them to complete the purchase, even offering a discount to reel them in. 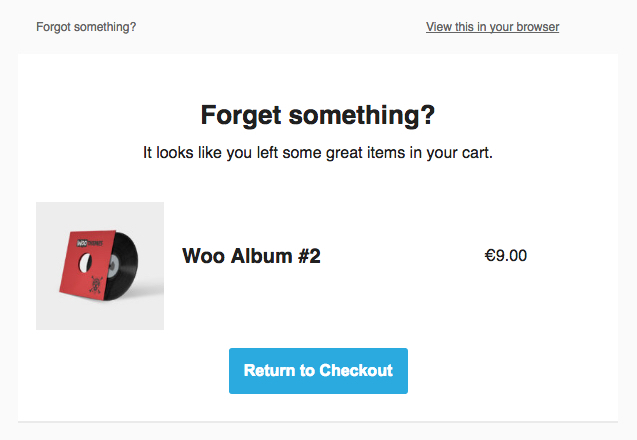 We're importing all WooCommerce products, customers and orders into Mailchimp now. This allows data driven predictions about what your subscribers will want to buy in the future. You can setup automations in Mailchimp periodically sending product recommendations to your subscribers. Keeping all WooCommerce data in sync with Mailchimp sounds like an expensive process in terms of performance. It doesn't have to be though. All heavy lifting is performed in so-called background queues. Your site visitors won't notice a thing nor will this slow down your checkout in any way. By now, you should see an available update for Mailchimp for WordPress - Premium, provided you have activated your plugin license. If you're not using our Premium add-on plugin yet, please purchase a new license. We handle a 30-day refund policy so there's really no risk in trying. Let us know if you have any questions or suggestions, we'd love to hear them!